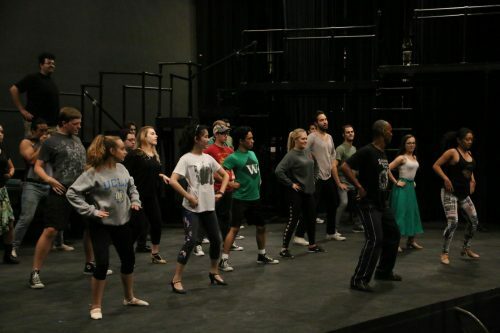 Inspired by the story of Romeo and Juliet by William Shakespeare, the American River College Theater Department will open its first production of the 2018-2019 season with the award-winning musical “West Side Story” this Friday, through Oct 28. This is the story of an idealistic couple struggling for their love between the power battle of two teenage street gangs, the Sharks and the Jets, in a working class neighborhood in New York in the mid 1950s. Isabella Evan, who is pursuing a musical theater certificate at ARC, plays Margarita who is part of the Sharks ensemble. She said that this story is relevant and timeless. In the story, the Sharks are Puerto Rican while the Jets members are white. Tony, played by Zach Ekstedt, is a former member of the Jets and best friend of Riff, played by Brandon Wall, who is the leader of the Jets. Tony falls in love with Maria, played by Alysia Sambuca, who is the sister of Bernardo played by Isaac Williams, and leader of the Sharks. Stage manager Corine Balmain said that the message on the show is about stances on immigration, getting along and remains relevant today. The production, directed by Sam Williams, honors the 100 birth anniversary of Leonard Bernstein, who created the show’s music. It features big choreographic numbers to the rhythms of mambo and cha cha by a live orchestra conducted by Susan Hamre. Sam Williams and Sarah Souther choreographed the show, with over 33 cast members, during the last three months to master its challenging choreographic script by Jerome Robbins, director of the 1957 original production and choreography. “It’s a very challenging show choreography wise because the music too is very intricate, so you are going step by step versus like counts,” Souther said. Stephen Sondheim’ lyrics, ethnic accents and “street talk” for gang members have been worked by the cast’ vocal director Tracy Martin Shearer. The show’s costumes, set and lights bring the streets of New York alive under the creative team of Gail Russell and Kathy Burleson, both Elly award-winners. The Elly awards are given for outstanding achievements of community theaters and artists in the Sacramento area, according to Sacramento Regional Theatre Alliance (SARTA). Souther said that the production has a strong team that has worked hard since July when the dance camp started. “West Side Story” will be presented on Thursdays at 6:30 p.m., Fridays and Saturdays at 8 p.m. and a matinee on Sundays at 2 p.m. The show on Thursday Oct. 18 will be American Sign Language interpreted. Performances will be at ARC’s Main Theatre located on the Theater Arts building at the corner of College Oak Drive and Myrtle Avenue, where $2 parking is available in lot D.
Ticket prices are $18 general, $15 for students, seniors and SARTA, and $10 for children 12 and under. Children 4 and under are not allowed in the theater anymore. Call for reservations at ARC Theatre Box Office (916) 484-8234. 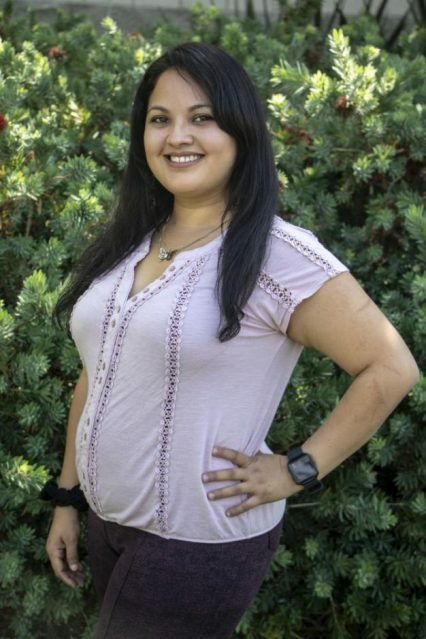 Itzin is a fourth year student at American River College. She is working on her degrees in journalism and psychology, and plans to transfer in the fall of 2019 to the University of California, Los Angeles to work on her film and TV bachelor degree. This is her second semester as a staff writer for the Current. 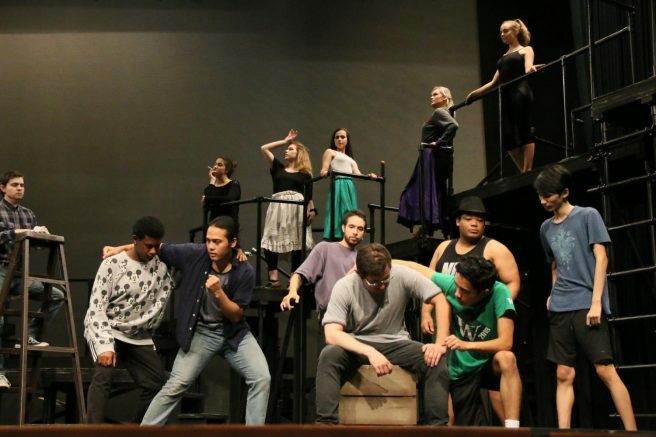 Be the first to comment on "“West Side Story” opens fall production season"